Colombia’s incoming President Ivan Duque will have to deal with several enormous challenges after taking office on Tuesday. Duque’s predecessor, Juan Manuel Santos, won a Nobel Peace Prize after securing a peace deal with the FARC, until last year Colombia’s largest rebel group. Talks with the ELN, the country’s last-standing guerrilla organization, are ongoing. Santos tried to secure a bilateral ceasefire with the guerrillas ahead of his departure, but failed. Colombia’s new president and his hard-right Democratic Center party have actively opposed peace with both groups, but are isolated; after more than five decades of war and more than 260,000 deaths, all other political parties want peace. Furthermore, mass human rights violations committed under the watch of Duque’s political patron, former President Alvaro Uribe, have evaporated international support for a military solution to the country’s decades-old political conflict. While on campaign, Duque vowed to unilaterally amend the peace deal with the FARC and effectively remove its leaders from Congress and threatened to end talks with the ELN. But that’s easier said than done considering pressure from coalition parties, the United Nations, the International Criminal Court, the United States and the European Union, to avoid a return to the armed conflict that began in 1964. Also within Colombia, support for armed conflict has been waning. Opposition forces have announced protests during the inauguration ceremony in defense of peace and the country’s social leaders who have been massacred by the dozens, mainly by far-right paramilitary groups. The armed conflict, and particularly the involvement of drug traffickers and death squads, have created major legal problems for Colombia’s elites, especially the ones from Medellin and the surrounding Antioquia province. More than 60 congressmen have disappeared behind bars over their ties to death squads and drug traffickers and more are expected to fall as a transitional justice system is in place to curb the country’s almost absolute impunity rate. While the International Criminal Court has warned it could open criminal investigations and request the extradition of 23 generals and six colonels, Colombia’s Supreme Court opened a criminal investigation against Duque’s political patron Uribe over his role in the formation of death squads. Duque has expressed his support for Uribe to whom he owes his victory in the elections. Despite the former president’s former ties to the Medellin Cartel and alleged ties to death squads, Uribe continues to be popular in Antioquia and among staunchly conservative sectors in society and politics. The former president is expected in court on September 3 on charges that he and his political allies tampered witnesses that have accused the Uribe family of forming death squads. Duque’s party has already begun a discrediting campaign against the magistrates in charge of the investigation, putting the incoming president in the difficult position of defending either the rule of law or his allegedly criminal political patron. Ahead of the elections, however, Colombian pollsters were clear in indicating that citizens are mostly concerned about the country’s high unemployment rate, substandard public education and healthcare, and rampant corruption. The country’s growing dependency on the export of fossil fuels has weakened the manufacturing sector and has failed to finance a diversification of the economy and the development of a service sector. 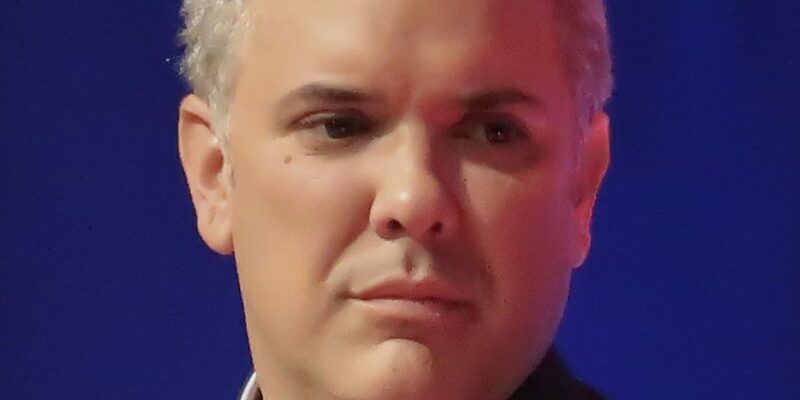 Duque’s economic proposals were largely ignored during the campaign, but have been criticized by economists for their alleged lack of substance and vision. Some proposals, like tax benefits for buyers of a holiday home, have been ridiculed as 99% of the country can’t afford a second home. Santos successfully prevented an economic recession after the 2014 global bursting of a commodity bubble, but was forced to impose harsh austerity measures that have limited investment in public services like education, health care and road infrastructure, services demanded by broad sectors of society. Duque’s weakness during the elections was his association with major corruption scandals like the Odebrecht bribery scandal; the incoming president was allegedly involved in negotiations with the Brazilian engineering firm that is accused of bribery. With even the country’s chief prosecutor implicated in the Odebrecht scandal, Duque is not likely to see criminal charges, but the president will be expected to curb rampant corruption and nepotism that implicate himself and his political allies. Public confidence in the country’s institutions and political parties is virtually non-existent and have fueled opposition to Duque and other traditional elite politicians by a coalition of anti-corruption advocates both in Congress and on the street. The president’s lack of experience in leadership positions has kept him out of the corruption limelight, but that will change the minute he enters the presidential palace. Opposition in Congress is stronger than ever and will likely try to exploit any financial mismanagement or corruption to oust the “uribistas” from power during local elections next year and national elections in 2022.